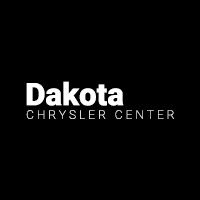 If you need a reliable truck for work or exploring Wahpeton, look no further than Dakota Chrysler Center’s used inventory! We offer a selection of 4 used trucks under $20,000 for sale. You’ll get the towing capabilities, engine power, and other benefits you’d expect from a truck at a price that won’t break the bank. Check out our used trucks for sale below, then schedule a test drive near Breckenridge and West Fargo! Know exactly what you want? Apply for financing online, and we’ll be in touch! Why Shop Used Trucks Under $20,000 at Dakota Chrysler Center? We’re always offering excellent deals on used vehicles, especially utility vehicles for Fargo businesses and families. You can also rely on us for ever-changing pre-owned vehicle specials! Even after we hand you the keys, we’ll continue to offer services like expert auto care and genuine parts. Looking for a family vehicle with more cargo and seating space? Explore our inventory of used SUVs under $15,000!